What a winter. Oakridge got snowed in in February, and the whole place was shut down! The roads in and out of Oakridge are littered with tree fall. Please be careful when coming up to the shop for training events! Our first RT130 is coming, March 30th. Pack test at 0800, class begins at 1000. We have an ambitious spring training calendar, including S-131, L-280, S-212, and numerous employees taking the S-230 and S-330 classes this year. Please contact Ross if you are interested in additional training. We had a very safe and productive year in 2018. Many people were promoted and everyone got a chance to work! We were able to add several additional Type 4 engines to our fleet, which now stands at 15 engines. We do need ENGINE BOSSES, $500 bonus to anyone who refers an ENGINE BOSS, CREW BOSS, or SQUAD BOSS who ends up working at least 30 days with Inbound! I am looking foward to seeing everyone at this years RT130 and new firefighter training events. Our training program is one of the best in the industry, thank you Ross and Ron for your dedication and love. Our ALL HANDS days continue to set the standard, please plan on attending. Our crew evaluations and performance continues to rank us near the top of all industry Hand Crews. Well done! Your hard work is what gives us our reputation as hard working, reliable and profesional contracting resources. I appreciate you and your hard work. 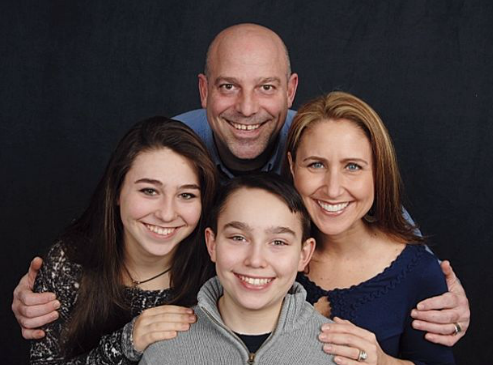 We have a new website www.inboundfireco.com and I have a new email address dillon@inboundfireco.com. Please feel free to reach out to me to rsvp or refer folks to our family. With the hot weather and lightning in the forecast, we are raising our readiness level to BLUE, which requires WEEKLY CHECK IN for 2018 firefighters. Please be checking in with Jody at jjohnson@inboundllc.com or calling the office at 541-782-1814. Require essential personnel to check in weekly. Our training and preparation are in full swing as we approach the 2018 season. We have another RT130 June 23 and a rookie class starting June 24. Our next CPR and first aid is June 28. Finally, the next ALL HANDS day is June 29th. Please rsvp with Jody. Spring is in the air. We had a relatively mild winter and now 70 degree temps in March. We are preparing for the season like it will be one for the record books. We have updated our training calendar and hope to see you at one of the upcoming events. The ALL HANDS days are one way the Inbound sets ourselves apart. This four days offer us the opportunity to get to know one another's skills, limitations, and to instill confidence in those we will be working with. We are building crew cohesion and picking the right teams for success at these events. We are practicing medical evacuations and for other incidents within the incident which might occur. Our first RT130 and pack test will be on March 24th. I hope to see you there to have a good converstation about where we can improve. We will also be offering radio programming, GPS and Map and Compass class, and sawyer classes in the upcoming months. Our first rookie class and ALL HANDS day will be at the end of April. Please come and welcome the new firefighters to the family and get the rust off as we prepare for the 2018 fire season. Christmas is almost here. I like the seasons, but miss the sunlight that comes with summer. Longer days are on the horizon! We have updated the training calendar for the 2018 season. Please check out the opportunities and make plans to get refreshed and pack tested for the year early if possible. New firefighters, please email Dillon at inbound@inboundllc.com to secure your spot in the April, May, June, or July training events. We will add additional training events later in the season. May you all be blessed with love and joy this holiday season. We are winterizing our equipment and getting into our winter routines now. Wow! What a season it has been. Thank you to everyone...All the firefighters, the family support structures, and everyone in the fire family. There were a lot of reunions and friendly faces at fire camps this year. Our "brotherhood" includes ground support, chippers, and of course sisters~! When I finally returned home this year I had terms like "Copy" and "Negative" and "Affirm", much to the families chagrin. It was an adjustment for everyone. Thank you to all the fire widows who raise our children and allow us the space to explore our wild side doing what we love. Now is the time to get back into your family routines and enjoy your loved ones! We are working on the training calendar for next season. The first RT130 and pack test will be the last Saturday in March. Most rookie classes will be the last full week of the month, beginning Sunday through Friday, with CPR and First Aid and the pack test being held on Thursdays this season. Advanced trainings will be in May and June...stay tuned for exact dates. We also want to get our squad bosses into the S270 Air Operations class. Overall, it was a great season. We still have work to do and room to get better, and I look forward to seeing everyone at the refreshers for a candid discussion about lessons learned this year! Summer is here with a bang! The hot weather has caught many off guard and it will take some time in the heat for everyone to get acclimated. We are ready! Our training is mostly complete and we have 75 red carded firefighters ready to go. We still have an advanced firefighter fundamental class on July 9th and S212 sawyer class July 10th to the 13th. We also will offer a L-280 for supervisors. We also have one more RT130 coming up July 22nd (with pack test) and a new firefighter class July 23rd to July 28th. CPR class will be held July 23rd and the final ALL HANDS day will be July 28th. Are you ready? Are you checking in regularly? Do you have some open issues to take care of before fire season? Let's go! We are currently at Readiness Condition YELLOW, which requires checking in every three days. Are you looking for a family to join this year? We are still recruiting for sawyers and experienced firefighters as well as new firefighters. Our training and preparedness is well underway. I hope you are getting good family time, getting your honey do list checked off, and making sure you are physically fit and ready to go for the upcoming fire season. Fires have already started popping off, and I would not be surprised if we get called to a small fire in the upcoming weeks. We are still at every two week check ins, but evaluation of fire conditions will continue. Stay tuned for updates. Please be checking in with the office every two weeks. June 10 - Advanced Firefighter Fundamentals. We are now offering a referral bonus of $250 for referral of experienced firefighters that work for us at least 30 days. Please send us your hard working friends. We offer great training, well maintained equipment, and clean and sober hard charging overhead. Check us out! Hope to see you soon. May is here, and with it, intermittent sunshine. It has been a cold cold winter. I welcome back the longer days and am ready to kick this summer into gear. I hope you are all embarking on a physical fitness journey. It was nice to see the rookie class getting up early to do extra PT during the six day rookie training in April. We do have three engines and one hand crew posted as available for fires. Please be cheching in every two weeks right now so we are able to staff up in the event of a surprise spring fire. We did have a lightning event in Oakridge the other night, and there were some starts, but just single trees. We have a lot of opportunities for training in May and June, so please check the CALENDAR on our website for details. I hope to see everyone this month! What a winter it has been. We have had snow, and cold, and more snow. My bones are cold. Time to start working out and getting strong for this fire season. The first training will be March 25th in Oakridge. We need your leadership. Please train early, come strong, and be ready for a long tough season. With all of the snow there is a lot of dead and down fuel and I expect fire behavior to be extreme. The heat anomoly is building over Texas and Oklahoma right now and expected to open the door for lightning events this summer. We shall see. To take full advantage we must be prepared. I am offering squad boss training, sawyer training, advanced firefighter fundamental training, and more this season. Let's do this! Looking forward to seeing you all soon. We here at Inbound wish everyone a safe and prosperous new year. The weather has been beautiful, but nonetheless, we are pining away for summer. The 1st RT130 will be in March and the 1st New Firefighter Class will be in April. Please start your training as soon as it is safe to do so. Last year Ross was able to dispatch with a 20 person NON-SMOKING hand crew! I am very proud of the initiative that Ross showed and the leadership to get behind him and support him. Several people quit smoking last year to be on Ross's crew. Well done Ross and other leaders. What are you doing to study your craft or make yourself better and stronger for this fire season? How can we help? We will offer Advanced Firefighter Fundamentals again...twice. This is our class where you learn how to work with BK radios and the latest GPS programs, map and compass reading, and practice time to learn your trade. We will offer the S131 (Squad Boss Class), and of course the S212 Sawyer Class. If possible we will do an S219 Ignition Specialist Class and and S215 Urban Interface. If we have enough experienced people to send, we offer up the S270 and S271 classes at the community college. Finally, our ALL HANDS DAYS begin in April, and we will have one per month through July. These events are paid for firefighters with at least 30 days working for Inbound in the past two years who have completed the pack test and refreshers and are red carded. This is your career and we want you to be successful! Please feel free to share your goals and hold each other accountable! Let's some strong in 2017 and be ready to deal with the chaos that is our lives every year...fire season. Fall is in the air. The nights are getting colder and the Chantrelles are busting through. Our fire calls have dwindled off and we are at readiness condition GREEN. This has been a strange year, starting late and ending early. Our hand crews got a few calls and made the most of their opportunities. James Diaz and Ira Wyatt were promoted to squad boss and Robert Percy and Wes got to work on their SRB quals. Our engines only worked on Rx burns. We could still get a fire call, and we do have ONE crew available and up to six engines we could provide immediately. I want to thank you for your committment to wildland firefighting. This type of year is challenging. Some of our outstanding rookies never got a chance to go out despite staying ready all season. I hope you will give us a chance and come out for the refresher training and pack tests in the spring. I have updated the training calendar. Our first RT130 and pack test will be March 25th, 2017 in Oakridge. Squad boss class will be offered March 26th for those with at least one year of fireline experience (15 days minimum). The first New Firefighter Class will be April 23rd to APril 28th, starting with the pack test at 0700 on Sunday April 23rd. Please complete the FEMA NIMS Class IS-700 and IS-100 and forward to me at inbound@inboundllc.com if you would like to rsvp for the class. Please maintain your readiness, and especially your physical fitness routine during this off season. July is here with a whimper. However in the next few weeks things will heat up. This is a fairly typical and what I would call "normal" start. Please do not get discouraged or complacent. Use this bonus time to make sure you are physically fit and your boots are broken in. Keep up your training. I am happy to report that Ross was successful in putting together a NON SMOKING crew. Congratualtions to the crew and especailly to those of you who decided to give up smoking! Bravo Zulu, and well done! We are at weekly check in right now. Please be checking in the office at 541-782-1814. We start our final rookie training of the year this Monday July 18th. On July 20th we have our final CPR and First Aid class. Finally, on July 23rd, we will have our final ALL HANDS day. Please attend the ALL HANDS day if you plan on working this year. Lindsay from Timberwest Magazine will be there to document our training for his readers. June is almost over and the hot weather is here to stay. The ten day forecast shows no precipitation and hot days ahead. We have elevated the readiness condition to BLUE, which requires weekly check-in. Our ALL HANDS day on Saturday had 53 firefighters show up. We worked on fundamentals of firefighting including line construction, contingency line construction, spot fire scenarios, medical evacuation, bug out, spacing, water bar placement, and more. Thank you to Wes and Ross for preparing the IAP and running the scenarios. Thank you to Jerry for the wonderful food. Thank you to Jane and Joe and Diaz for helping set up and clean up. The rookies were at the shop at 0700 for gear issue and back at 1900 at the end of the day. A good 12 hour drill, and smiles all around. Thank you to everyone for your contributions. We now have about 80 red carded and ready firefighters. I like to have about 125 with the three hand crews and 13 engines to staff. We have only one more new firefighter class beginning July 18th. If you know of any potential firefighters, please send them to me. 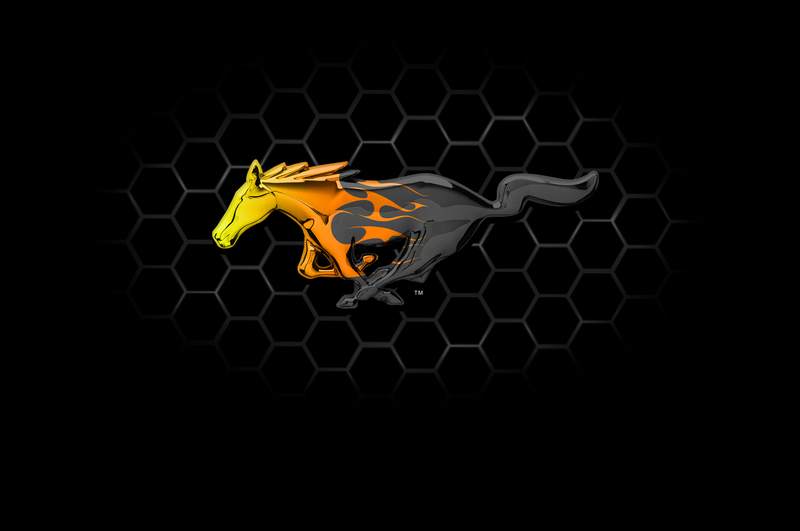 We have made one hand crew and multiple engines available for now as we finallize our roster for the season. Dear Inbound friends and family. It is June already. We are in full ramp up mode. Many of our firefighters just completed the S271 Helicopter Crew Member course, congratulations to you and well done! We are proud of the motivated firefighters that we employ. We recognize your career objectives and want to support your goals. Thank you for taking the time to learn and get better. We also have six supervisors just completing the S219 Burn Operations class. Tommorrow is burn day, sounds fun! We have a lot of training this month and resources are also being called early. We have increased our readiness condition to Guarded - BLUE check in weekly please. Come to our training events. Check out our S212 Sawyer class next week. We are looking for more firefighters this season and we have FREE training opportunities for motivated individuals. We offer good training, good equipment, and solid supervision. If you are a new firefighter or experienced, you will find opportunities at Inbound. Please make sure you have done your part to be ready. Bring your A game, because anything less in unacceptable! We want people who take this seriously, because we do. May is here and so are the 80 degree days. We are thankful for all of the hard work everyone has put in over the winter! Jerry, Phil, Ross and Chris spearheaded our efforts to get 13 engines inspected and ready for the new contract year. We will have 7 Type 6 Engines and SIX Type 4 Engines available this season. Inspections went smoothly and the new DPLs should be published by the end of the month. We have not heard back on the Type 2 IA National Crews yet, but we did submit a bid to provide ONE hand crew under that contract. We hope to hear by the end of May on that proposal. Thank you Jody and Ross for your efforts! Over the winter we helped process and deliver 68 cords of dry fire wood, mostly the the alterabled in Oakridge. We are proud of James, Dom, Alex, and the entire fire wood team. Thank you for your efforts. I hope you are all preparing for the season. We had 30 people at our ALL HANDS DAY on April 30th, and I think all will agree that this training is invaluable. I hope to see everyone at the next event May 28th. Please rsvp with Jody or me so we have a headcount. We welcomed 14 new firefighters to the family. We have some intelligent and hard working candidates from the first class and we have a crew on the board right now should the need for resources arise. Please consider coming to the radio programming and GPS class is you are an experienced firefighter. April is here. Will April comes longer days, warmer nights, flowers blooming and fine fuels growing. This winter was quite a bit wetter than the past few, and boy did we need it. The snowpack is about average, and that is a huge improvement from the recent past. Still, our fire season is marching toward us. We need to train as if it will be the worst season ever. We will provide the training, we need you to fill the seats. We will have opportunities this summer, we need you to be physically and mentally ready when the call comes. We did submit a bid for ONE National Type 2 IA crew last week. We are optimisitic that your hard work has distinguished us as a worthy company to consider for this award. Thank you for your committment to professionalism, at least we have a chance to win the bid. If we don't win this round, we will get another chance in FIVE years. I enjoyed our first refresher, mostly seeing old friends is like a family reunion. Thank you Jerry for cooking up pork ribs, chicken, and sausages for the crew. Thank you Ron Kintzley for the thoughtful presentation. Thank you to the 18 people who completed the RT130, we can now post a few engines as available. We still need a few more of you to complete the training before we can stand up our hand crews. It has been a while since my last post. We have been really busy building new engines. Jerry, Chris, Phil, James, Shane, Ross and several others have been making the shop better and the new equipment they have built is going to make us a better company more sustainable with more opportunities for employees to be promoted. We have a total of 15 engines under contract for the 2016 season, including EIGHT type 4's and SEVEN type 6's. We also have the chipper, FIVE trucks with drivers, and of course the THREE hand crews. We are in the process of submitting our bid for a national Type 2 IA crew as well. We also had the chance to help process and deliver 68 cords of fire wood for needy community members over the winter. The City of Oakridge, the SW Willamette Collaborative, and others helped us to have no RED burning days over this winter, the first in a long time. That means better air for other elderly and disabled. This has been a real win win situation and a pleasure for us to be invovled in the local community. Now our training begins. Our first aid course will now have a doctor present to discuss epi pen use and prescribe as needed. This means our first aid course will be an all day affair. To ensure we cover all of the material in the new firefighter training, we will add a SIXTH day to our class. This means trainings will begin on MONDAYs and end after the ALL HANDs field days on Saturday. I will update the calendar to reflect this six day event. Thank you to everyone of our employees for your participation in these ALL HANDS events. These events are probably single handedly the best thing we are doing to get prepared for the upcoming season. The first RT130 Annual Refresher will be on April 2nd beginning at 0800 with the pack test. The first S130/S190/L180 class will begin on April 25th and go through April 30th. Camping will be nearby the office, check in for instructions on April 24th at the office. Please please please bring your "A" game this year. We are looking for people who take this seriously! We will be providing a ton of training over the next three months, so please check the calendar and rsvp with me at inbound@inboundllc.com if you are interested in attending any events. We want you to succeed! Ross is putting together a non-smoking crew! What is your committment level? How bad do you want it? I'm looking forward to welcoming home our returning firefighters and welcoming new ones to the family. Let's have some fun, all while doing what we love. Happy New Year! It is snowing in Oakridge and in Portland and in Cave Junction. I hope you are all enjoying family time and getting some well deserved rest. -Crew 13-122 Nettleship worked 55 days, Crew 13-123 McCann worked 45 days. Our engines worked over 250 shifts. 100 firefighters had earnings! For 2016, we will be adding at least 5 engines and maybe as many as 10 new engines. Our total number of engines will be 15 to 20 for the upcoming season. We are heavily recruiting for Engine Bosses and good experienced firefighters. We are looking for hard working, professional firefighters. Maybe you know someone who is tired of their equipment breaking down and having to deal with drama because the company won't deal with known problems. While we are not perfect, if we know about a problem, we are going to deal with it. Our equipment is in great working order and our employees are more connected because of our drills. In 2016 we will be conducting a ton of training. I will be updating the training calendar, but stay tuned for S211 Pumps, S212 Saw Class, S215 Urban Interface, and S219 Ignition Specialist, in addition to our RT130 Refresher courses and of course the S131 and S133 Squad Boss Classes. Ross will also be offering our radio programming and GPS/Technology class twice before the season starts. We will likely have 4 ALL HANDS drills! I would love to see our key, committed firefighters at these events. This is our secret sauce, but it only works if we have good participation. We will offer you the best training available in the industry and I will feed you well. Please try to make as many of these training events as you can. Besides good equipment and great training we need the best firefighters. Please embark on a physical fitness journey and show up ready to hit the ground running. Ross is trying to put together a NON smoking crew, and I encourage and support those efforts. This is a good time to start! Require essential personnel to check in every other week. We are not out of fire season yet. In the past few years we have been dispatched in October and even worked into November. We have one hand crew and several engines available, so please continue to check in, or let us know if you are NOT available as well. Boot and driving bonus checks will go out next Wednesday, so be checking your mailboxes next Friday. If you have changed your address or phone number, please send us an email so we can keep our records up to date. We will send out W2s in January and refresher trainings will start in March. A full calendar of training events will be here on Facebook and on our website by mid Jan. Thank you all for your commitment to success this past season. Our hand crews worked about 100 days and our engines worked over 260 shifts. The extra work you all put in during the preseason showed in your readiness and success. We will be offering the S131/S133 Squad Boss Class, probably in March. This is a two day course and is required for all experienced firefighters to be promoted to ICT5/Squad Boss/FFT1. We will also offer a one day radio programming and GPS class. It is our goal that all experienced firefighters know how to hand program a radio (and troubleshoot), spin weather, give a radio report (on size up or weather), and effectively use our GPS capabilities, to include geocaching photos and sending a report to overhead using bluetooth. This class will also evaluate emerging technologies that might be useful as a career wildland firefighter. We will ask you to put in some precourse work, and get familiar with AVENZA on your smart phone. We are trying to locate an S271, Helicopter Crew Member class for those who took the S270 last year. We may also offer an S390 and S330 Task Force Leader courses if we can collaborate with a few other contractors to get an instructor here. We will probably offer S219 Ignition Specialist and S215 Urban Interface as well. Of course we will offer the S212 saw class, probably in June/July before the final ALL HANDS training day. I am asking all firefighters who want a career as a wildland firefighter to put in some extra work this off season. Study your trade...Don't let your fire legs get away from you and continue your training regimes...Research emerging technologies and bring ideas to the one day technology class...Take advantage of company provided training events...and take steps to make the community where you live safer and better. Make sure your equipment is properly maintained and show up fit for duty next spring, properly equipped for success. I am excited for your success! I am proud of you and your hard work. Let's be ready to look in the mirror and do what it takes to continue to improve. I am looking forward to hearing your ideas and watching your growth! September and the hard work continues! Our crews and engines are still working. Inbound Type 2 Crew 13-122 (Nettleship) is on the Cougar Creek Fire. The crew is in great spirits but it has been cold (in the 20s) and wet. They are on day 8 today. Ross sent a cool photo which I have attached. Inbound Type 6 Engine E-03 (Douglass) is on the North Star Complex on her second day of rest after 14 days. Inbound Type 6 Engine E-04 (Rowley) is also on the North Star Complex and they are on day 4 of their second 14 day stint there. Inbound Type 4 Engine E-12 (Archamboult) is on the County Line 2 Fire on day 14. Great job Mya! We currently have three additional engines available for dispatch if needed! As the weather has begun to trend to fall, we will be going to readiness condition Blue (Guarded). We ask employees who are available to go out on fires to be checking in WEEKLY for now. Thank you for checking in with Jody Monday through Thursday from 9 am to 2 pm. This fire season continues, but there is some relief in sight. The seven day forecast shows some pretty significant precipitation for So. Oregon and for the Cascades. We anticipate that the BLM will be needing us for prescribed burns in the Eugene area once conditions improve. As we start to approach the beginning of the end of fire season, please inventory your gear and make a note of any needs for your war bag. We go through our entire inventory, inspect and clean our line packs and nomex and saw chaps, purge and clean the saws, strip the crummies, drain the water tanks and winterize our engines, etc...Please return any company issued gear to the office in Oakridge so we can include it in our counts. I will be offering the S-131/S133 Squad Boss class in the spring. In addition, we will be offering the S212 Saw Class in the early summer. We will also offer radio training, map and compass, and GPS training courses to our experienced firefighters in the spring. Stay tuned for more details on training events, probably sometime in January. Boot allowances and safety bonuses generally go out in October. Every year you work at least 30 days on the fireline (not counting travel - and you provide your own boots), you will get $150. Safe Driving bonuses also go out at the same time. If you were a driver please turn in your mileage and inspection sheets from the incidents to Jody. Thank you to everyone for all of your hard work that got us this far into the season. Of course, the hard work continues, and then the off-season training and fitness and preparedness work begins. You bless me! You inspire me! You motivate me! Your work is in keeping with the highest traditions in our industry. Well done! August is here with a fury! August is here and are we ever busy. We have raised the readiness level to YELLOW which requires critical employees to check in every three days. We have had some trouble reaching employees for dispatch, so please be checking in with Jody regularly. Fire season is going strong! We have two hand crews and six engines working and we are bringing in two additional engine bosses starting tomorrow. We will need all of our trained employees to contribute this year. I know it seems like the fire season is late, but this is a pretty typical season. This is the beginning, and it goes through August and September and sometimes into October. I hope you are all ready for the battle ahead. Physical fitness and mental toughness is critical! Please be ready and check in soon. Happy 4th of July. Our great country exists because great people took risks to defend their life and property. We celebrate their achievements while accepting the responsiblity to continue the battle to keep our country great. Thank you to all of the fire fighters out on the line already this year. This is the first time in 11 years that both our hand crews were working on the 4th of July. The season is ahead of schedule by about three week. We are busy already! The season is forecast to be a long one. We think we are going to need reinforcements as well, so we have scheduled another entry level firefighter class beginning on July 20th. We will also have another refresher on July 19th (but the pack test for this class will be on July 20th). We will also offer one more CPR and First Aid class on July 21st. All training is in Oakridge. Our prayers continue to be with those working on the line. Reports are of temperatures exceeding 105 degrees. If you are one of our trained firefighters who is waiting for your chance, the season is just starting. Please be checking in regularly with the office so we know you are ready and available. Your call will come soon. We are feeling the heat. It is 90 plus degrees across the state. Fuels are curing out and we have raised the readiness level to BLUE, which means, please check in weekly with Jody. You can check in by phone at 541-782-1814 Monday to Thursday between 9 to 2 if you want to speak with her. Otherwise you can leave a message. We want to know who is available for fire dispatch. By checking in, you are letting us know you are available. If you are not checking in, we assume you are not available. On June 5th we held our second ALL HANDS day. I continue to be impressed with the crews, pushing themselves to learn more and challenging everyone to step up their skill levels. Outstanding job by Wes, Cowboy, Ross, Jane, Jake, Dom, Adham, James, Mike Caldwell, and Jerry Cargil for all of your work to make the drill so good. Welcome to the family to those firefighters who have recently completed the new firefighter training. We hope you like what you see and that you are fully committed to sucess for this season. The next ALL HANDS day is June 27th, and we hope you will attend. We have finished up our first two refresher classes and first new firefighter training. We still have two refreshers (May 30 and June 29) and two new firefighter classes (June 1 to June 5, and June 23 to June 27). We also have two more CPR/First Aid classes, two more All Hands days, and the saw class on the calendar. This class will be held beginning at 0900 on May 31 at the Oakridge location. Please RSVP with me so I can have enough lunches for all. Class should go about 6 hours. The goal is to give our firefighters the tools and training needed to be effective and professional firefighters. THIS TRAINING IS OPEN TO ALL RETURNING FIREFIGHTERS! Attendance is optional. As I am typing this letter, there is already a 125 acre fire burning in Glendale. Two years ago we dispatched on May 5th for the Delgado fire (we were there 6 days). In other words, fire season is rapidly approaching. We are preparing as if it will be the worst season ever, while hoping for the best outcome possible. I hope you are also preparing. This could be a long, hard, and exhausting season. Our equipment is ready...are you? Drivers, please get your paperwork in ASAP. We are preparing to put a crew available by the end of the week. What a warm winter and spring so far. I suppose it is winter, but it sure feels like spring. The long term drought, low snow pack, and odd weather foretell the upcoming fire season. I hope you are all embarking on a physical fitness journey in preparation for the arduous summer we likely face. In preparation for this year we procured two 2015 Ford F250 Crew Cab trucks, two 2012 Toyota Tundra Crew Cab trucks, two Dodge 5500 Crew Cab trucks (to make type 4 engines out of), and a chipper. Jerry has been busy! We have updated the training calendar through the early summer. We have also begun the recruiting process for this season. We need a few engine bosses, sawyers, and of course new firefighters. We will consider hiring squad bosses, but we prefer to promote from within. We have some really good young leadership we are excited to promote this year. After this season, the National Crew Contract will be up for bid. We will be agressively pursuing this agreement, to be awarded before fire season 2016. May the sun shine upon you, may the wind be at your back, and I hope to find you up in Oakridge soon for our preseason training events. 2014 was a good year. My hope and expectations are for an even better 2015! I am starting my off season fitness regime...time to work off the holiday desserts. I have updated the training calendar with the first refresher on March 28th. There are several all hands days timing with the last day of the new firefighter classes. If you are a returning firefighter with Inbound, please try to attend these all hands days. We can catch up on open paperwork, have a warm meal together, and welcome the new firefighters to the family. There is a lot to do during the off season. In addition to embarking on an off season fitness regime, we are recruiting for engine bosses for the 2015 season. We did buy two new Dodge 5500 4x4 crew cab trucks that we are building into Type 4 Wildland Fire engines. We are renewing our licenses and getting W-2s and 1099s out in Janauary. If you are/were a driver we need updated applications, including fingerprints and physicals on all drivers (except we just need the renewal application if last year was your first with the company). Please contact me if you have any questions at 503-473-4851. I am wishing you and your families the best of health in the year to come. May your connections be genuine and your heart be true. This is going to be a really good year! The 2014 fire season has flown by. We were fortunate that we were called out to many fires this year. Our crews performed admirably and safely. Because of the efforts and work ethic of our employees, our reputation continues to shine. I am proud of the work you do and to be a small part of our success. We have gone to readiness level BLUE, which requires a weekly check in. Please be checking in via facebook, text, email, or by calling the office at 541-782-1814. We will be holding a squad boss training event (S-131 and S-133 ) in October or November. For all experienced FFT2, this is your chance to take the leadership courses which will contribute to your skill set and ultimately are required to be promoted to squad boss. Please let me know if you are interested in taking this class. I will be scheduling it for a Saturday and it will be a 12 hour day. Please stay tuned for additional details. Boot bonus checks and safe driving bonus checks will go out in October. Please send me address updates so I can be sure your check makes it to you. Also, year end tax forms will be going out in early January, so we definitely need your current address. Thank you to each and every one of you for your hard work, committment to each other and the company, and your continued perserverance and dedication to this proud community. Lightning came through on this past Saturday and Sunday and there are a lot of fires burning in Oregon right now. We have dispatched three engines and one hand crew already and expect additional orders to be coming. We have raised the readiness level to HIGH -ORANGE as we feel dispatches are imminent. Please check in daily at this readiness level with Jody at 541-782-1814. Please be fit for duty when we call. Last night several personnel either couldn't find rides and just were plain unable to make it on the dispatch. While we try to have our pre-season manifest dialed in, we will need everyone to make it through this season. If you did not get called already, please continue to check in so we can work on getting you out on one of the next dispatches or as a replacement for one of the crew members already working. Thank you to all of you who did take my call and make the disptach. Please know that we are praying for your safety and if there is anything I can do to support you, please just let your crew boss know and we will have your back. July is here...and with it, the heat! July and August are forecasted to be hot and dry. We are raising the readiness condition to YELLOW which means we are actively tracking fire intelligence sites and making sure any last minute preparations are complete. We ask employees to check in every three days when fire conditions like these persist. Please make your preparations for a long, hot, and severe fire season. We will be needing everybody to get through this year. Please check in with Jody if you haven't done so recently. I am looking forward to callng you soon...for a dispatch. So please make sure we have your updated contact information. The NWCC predictive services is calling for 2 to 11 large fires burning by this time next week. We are going to be really busy now. Jerry is making last minute mechanical inspections and ensuring all gear is in top operating form. 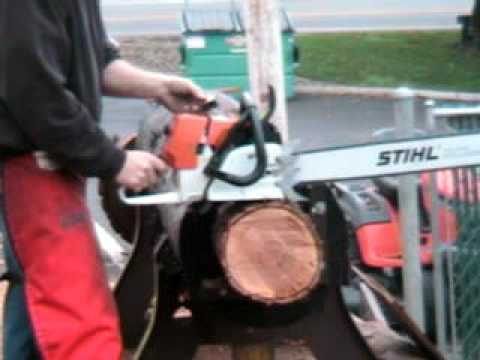 We purchased 10 more Stihl chainshaws and have a saw class scheduled for June 17 to June 21. We also have a pump class coming up June 11 to June 13th. Finally, we have our last new firefighter training coming up June 17th to June 21st in Oakridge. We also plan one last RT130 and pack test on June 30th. However, it appears likely that we will have resources out early this year, maybe before our last ALL HANDS day on June 21st in Eugene. I am asking everyone to start checking in weekly with Jody Johnson at 541-782-1814. Here office hours are 9:00 to 3:00 Mondays, Wednedays, and Fridays. We are finalizing all paperwork as well, so please see Jody and get your returning or new firefighter applications on file. We still need drivers to get their physical exams and fingerprints as necessary to complete the DOL MSPA Blue Card paperwork in time for the season. Please contact Jody or me to get this rolling ASAP. It looks like it could be a long and hot summer. Please make sure you are embarking on a physical fitness program which and be fit for duty by June 21st at the latest. If you have any concerns or open issues please reach out now to resolve them and then lets get to work. Our equipment will be ready and if you show up ready we are set up for success. For all experienced Inbound employees, you are invited to the Pump and Saw training events coming up in June. Please rsvp so we can provide lunches and water. For new Inbound employees, welcome to the family. Our strength lies in the way we support one another and build trust and respect. Get your boots broke in and your war bags packed. We are about to go into battle! Spring is in the air. This is one of my favorite times of year. Watching the beautiful flowers and color returning is a good excuse for me to go out and excercise. I hope you are also getting out there and getting in shape. This past weekend we had our first pack test and refresher training of the year. It was great to see old friends and a few new faces too. We had really good and candid discussions about lessons learned last year and ways we can improve even 2% this year. Our next pack test and refresher is on April 5 in Oakridge beginning at 0800. We also have our first new firefighter class beginning April 28th also in Oakridge. Our first "All Hands" drill will be on Friday May 2nd in Oakridge. We are still firming up some of our training classes such as the S131/S133 Squad Boss classes and S211 Pumps as well as S212 Saw class. These classes will likely be in late May or early June so please stay in touch. We are looking forward to this fire season and all indications are that it could be a long and tough one. Most regions in the West are in drought. We need to be ready when the call comes! 2013 has sure gone fast. We are planning our training events for 2014 and taking steps now that we hope will make us more successful. I will update the training calendar soon. The first refresher trainings will be in late Feb or early March. We would like for all of our supervision to attend the early training events. Later in the spring we will conduct S131 and S133 Squad Boss training. This event is for experienced FFT2 firefighters who would like to be eligible to be trainees. We will also provide S212 saw training, probably in May. This event is for all experienced firefighters, and will be a refresher training for experienced sawyers. I am hoping to get Ron and Larry Kintzley to teach this class. 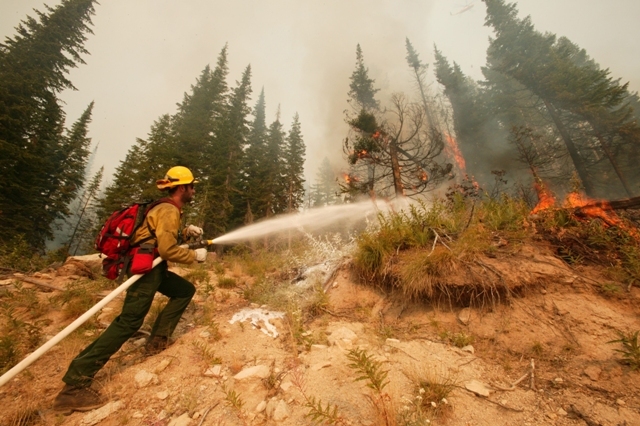 We will have three 20 person hand crews and 10 wildland fire engines under contract in 2014. We are looking for a few Engine Bosses and experienced sawyers. We are also looking for experienced wildland firefighters who will help our crews be even better. We will also be recruiting new firefighters with training in May and June. We will have at least two new firefighter training events in addition to the CPR and First Aid courses and all hands field days. If you are a returning firefighter with Inbound, please embark on a fitness journey. Now is the time to be working on your physical fitness for the 2014 season. If you know anyone who would be a good fit for Inbound, please send them my way. January, so please send me any address updates. Today is September 11th. I well remember the day 12 years ago when our country was attacked. Emergency responders ran to help, and many perished. We remember them and honor them today by taking some time for reflection and remembrence. We too stand ready to respond when called upon. We currently have two hand crews and eight engines available. I appreciate everyone checking in in accordance with the currently readiness condition (which is blue). Check in will be weekly for now. We may still be needed locally, or we may be called upon to travel to other areas like California, which continue to be dry into December. We will endeavor to keep at least one hand crew available through the new year. Please continue to take time for physical fitness. The fire fit program is one way to stay in shape. Mushroom season is starting, and a good excuse to get up in the mountains. Please keep me informed of address and phone number changes. May god bless those who perished on 9/11 and may the holy spirit comfort their families. Happy 4th of July! The 4th is the traditional start to fire season in the Pacific Northwest. This year the fire season came a little early and then went into hibernation. The weather this past week has been in the 90s and fire season is waking up. EVERY SUMMER THE DRAGON COMES, IT LEAVES AGAIN IN FALL. IT VISITS DESTRUCTION ON VARIOUS KINGDOMS THROUGHOUT THE RELM. SOME YEARS WILDFIRE IS SLOW AND LAZY AND EASILY BEATEN. BUT OTHER YEARS IT IS QUICK AND LIKES TO FIGHT HARD. WILDFIRE HAS FRIENDS WITH NAMES LIKE FUEL WIND AND TERRAIN. FUEL IS DRY THIS YEAR AND BURNS HOT AND FAST WIND SEEMS STRONGER. We will soon be called to join the battle. Let's fight the good fight. Support and encourage one another as you are brothers and sisters. Please make your final preparations to be ready when the call comes. Hug your loved ones a little tighter and be present in the moment. Please continue to check in frequently with me so I know you are ready. We are currently at weekly check ins, but I expect to be raising our readiness level soon. At the next level of readiness, our check ins are every other day. What crazy weather. Hurricanes in NY, Tornadoes in OK and TX, and snow in Oakridge. It can be hard to stay focused when the weather is gray. Still, we are very busy here getting ready for the impeding fire season! Bryan taught a group of eight future leaders the S131 and S133 Squad Boss classes this past weekend. We also kicked off an S130/S190/L180/I100 new firefighter class on Monday. CPR and first aid classes and the S212 saw class began this morning. Looking ahead, we are planning a large all hands meeting on June 5th at 0900 in Oakridge. We will cover OSHA requirements, company safety and health plan and other company policies. Please plan on attending to make sure your training and personnel files are complete and ready for the season. Immediately after the administrative session, we will commence a field day and welcome new firefighters to the Inbound family. We should wrap everything up around 1600 hours. Other upcoming training events include the field day portion of the saw class (to be scheduled) and another CPR and first aid class on June 2 beginning at 0900 at the Oakridge Fire Dept. We have two upcoming pack tests, on May 31 and June 2nd, both at 1630 hours. Please remember that even when it is raining here, we may be needed elsewhere. Our early preparations have already been proven effective as we worked six shifts earlier this month on the Delgato Fire on the Umpqua. Please stay in shape and stay in touch. We are still at weekly check-ins, so please check in via email, phone, or Facebook. It is already May! The year has been flying by. Temperatures are into the 80s and there is no precipitation in the forecast. We have been training and getting ready...but it seems there is still a lot to do. We have listed one of our two hand crews as available for early dispatch and we will list the other one when we have the personnel refreshed and pack tested. Talking to many of you, you are ready! Your bags are packed, your boots are greased, and you have made arrangements with your loved ones to cover any responsiblities while you are away on fires. We have enough people ready that we will be able to respond to an early season fire needs. Some of you are not ready. You may need the IS-700, a new requirement for all firefighters! You may still need a refresher training (our final class is May 31 in Oakridge) or pack test (May 20 or May 31). Maybe your CPR is expired (we are offering CPR May 22 or June 2 in Oakridge) or you haven't made arrangements to be able to leave your home for weeks on end to fight fire. If you are not ready...NOW is the time. Summer may have snuck up on you, like it did me. Nonetheless, it is here! May is an extremely busy time for us. We will have our all hands meetings where we will cover company policies on May 24th and/or June 5th in Oakridge. We need to take care of administrative requirements like wage agreements, E-verify, I9 and W4 forms, and make sure all of our drivers have the appropriate blue cards. Please join me in welcoming new firefighters to the Inbound family and make sure you are checking in regularly (currently weekly) with me. This could be a long and tough season and we will be ready! This is my favorite time of year. I so enjoy the bright colors of spring and the sense of renewel in the air. Easter is always a time for family and deep reflection. Now that Spring is here I feel more energy and more like getting outdoors for hiking, fishing, and motorcycle riding. My hope is that you will each take this opportunity to resume, ramp up, or embark on a physical fitness journey. We want you to be in peak physical condition when this fire season finally arrives (less than 90 days from now.) 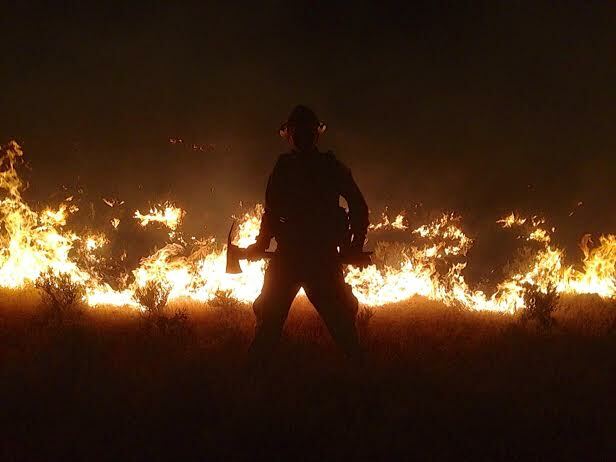 We want you to be able to take full advantage of the opporunity to do what you love to do...fight fire! We also need to take care of administrative items like wage agreements, I9 and W4 forms, and driver applications. The all hands meeting in Oakridge on May 24th will be a chance to make sure we have everything in order. Please start checking in with me every two weeks so I know who is truly available to us this year. Ross and Kyle will be our two primary crew bosses for the hand crews and we have the ten wildland engines to staff. We will also be welcoming some new people to the Inbound family. The all hands meetings are a good chance to get to know each other and jump start the crew cohesion we all crave. Please welcome the new members of our family and share some fellowship and hard work on May 24th in Oakridge. I am looking forward to seeing everyone soon and or course a safe and good fire season. Happy St. Patty's day. I pray you are all in good health and with loved ones. March is already more than 1/2 over. Fires are burning already in California, South Carolina, and Colorado. Precipitation in Oregon is way below historical norms. All of this means that we have a mandate to be ready. We have our second refresher of the year coming up on March 30th. Hopefully you have all been working on your physical fitness and the pack test will be a formality. We are trying to get all of our experienced firefighters through their training by June 1st in case any early dispatch opportunities exist. Please make sure you have made arrangements to be at one of the trainings if you haven't done so already. Jerry and Jeremy and teams of others have been working hard to get a few additional engines under contract this year. A big "Thank You!" goes out to everyone involved. We are ramping up our readiness...please ramp up your readiness. Dust off your gear, grease up your boots, and embark on your physical readiness regime. Please call me at 503-473-4851 if you have questions or concerns about the upcoming season. Check the website calendar and facebook for updates as well. February is ripping by. Temperatures are starting to warm, just a little. The days are getting a little longer. The daffodils are poking their heads out. I went for a 2 mile walk yesterday. It felt good! No pack though! It is time to ramp it up. Get the rust off. We will be physically pushed this year, if all goes well. We need to be ready to take advantage of opportunities when they arise. Everyone one of us, starting with me, can step it up. The work we put in will be rewarded. Our first refresher followed by pack test is February 23rd in Oakridge. I hope to see all Inbound supervision at this training so we can collaborate on how to make Inbound better. Our second refresher will be on March 30th in Oakridge and I am hoping all available returning firefighters can attend their annual refreshers by the end of March this year. I have updated the training calendar to include the S131/S133 squad boss training and S212 sawyer training both in Oakridge in May. Our first all hands event is May 24th in Oakridge. Please join me in kicking off the year by undergoing a fitness regime to ensure you report for the season in peak physical condition. It is time to get the gear bag out and grease the boots and check the laces and make sure you are ready. February is ripping by! Happy New Year to all Inbound friends and family. 2012 was a really good year. We worked over 350 engine shifts and almost 90 hand crew shifts. We had one injury that was non disabling. We were able to get some of our key employees promoted (congrats Ross, Jeremy and Josh) and we were able to upgrade our equipment. -More emphasis on physical fitness. We want the most productive and reliable crews when the time comes. -Better communication. Facebook and other social networking options are helping. It is only because of our dedicated employees that we have the opportunities ahead. I appreciate every person who committed to the 2012 season and I am looking forward to the upcoming year. I will post the training calendar before the end of the month. Also, I will be sending out W-2 tax forms before the end of the month. Please contact me with address changes as appropriate so I can get these tax documents out to you quickly. It is already October and we still have two engines working. We had a good year! Everyone came home safely! Our hand crews worked over 80 days and our engines worked well over 300 shifts. I saw a lot of growth in our young leaders and our new firefighters. You each overcame personal obstacles and persevered. For each of you who gave your best...I am so proud of you and proud to be part of what you are building...a professional, dependable, consistent, and reliable provider of emergency services. We can reflect on our accomplishments and should! However, we should also take time to learn from our struggles and owe it to each other to suggest areas of improvement. 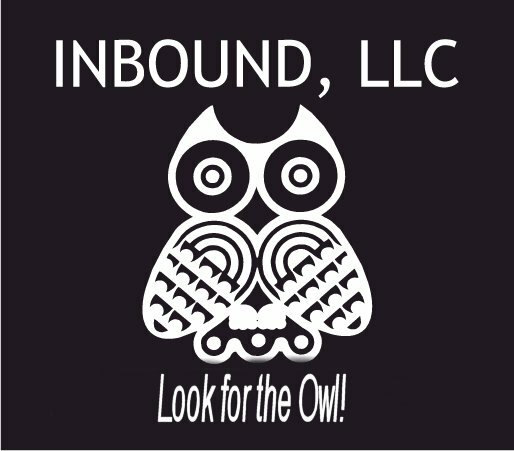 I am hoping that anyone who has a suggestion on how Inbound can be better will be comfortable calling me directly at 503-473-4851 to discuss. It is my intention to have a year end company get together as well...and I hope the sharing of ideas on how WE can improve is a headline topic. We also are able to upgrade our equipment this year thanks to all of your efforts. This means we will have four 4x4 trucks per crew next year as well as True North fire packs to match the capabilities of our crew. This will continue our goal of putting out a crew that meets Initial Attack (IA) specifications! As this season winds down please remember to keep me updated with address and phone number changes. I will be sending out tax forms and training updates early in January and need to be able to have positive communication. Refresher trainings will begin in April. If anyone needs anything administratively, now is a good time to get it done. I encourage everyone to undertake an off-season physical fitness regime such as Fire-Fit. Thank you for all of your hard work. I hope to see everyone at the year end get together...probably in November. We have been busy! I have updated the list of fires we have been on in 2012 on the fire history page. A huge "thank you" goes out to all of the firefighters who have been sleeping in dirt on cold cold nights, eating MREs and choking on smoke all while representing the finest of Inbound! Thank you also to the families that support and pray for our firefighters while they work. On every fire and every day we learn from each other. We learn what our capabilities and limitations are. We learn how hard we can push our bodies and equipment. We learn from the experiences on the line. As we learn it is imperative that we capture some of our learning and incorporate our lessons into our best practices. It is critical to remain in the learning mode. Situation awareness dictates that while things around you can change rapidly, you must be able to adapt quickly and be able to re-assess your risk constantly. Being in the learning mode means you can accept that there is room for improvement. It can be hard to look in the mirror and admit, "I could have done _______ better." There must be a company culture that encourages true reflection without fear. I hope we are building that kind of culture. I encourage all Inbound employees to be honest with themselves and with me when it comes time to reflect on areas where we need to improve. We know that our goal is to be a reliable, consistent, and dependable option for the government and other land owners when the need for help comes. We can all continue to work on ourselves in terms of physical fitness and mental preparation. As a company we can institute best practices and look for ways to get better. Please let me or Jerry know of any ideas that you have to make us better. We continue to be busy this year too. The long term forecast is for continued dryer than normal weather...through December. Please accept my sincere gratitude and appreciation for your great work and continued efforts this season. I am looking forward to seeing all of our friends and family at the year end potluck, probably in October. Wow! Is it August already? The forecast is for several days in a row with temperatures over 85 degrees. Fuels are curing out and lightning is expected starting Sunday. What this means for us is that we will soon be needed. Please make sure you have everything ready and plan on checking in with me weekly for now. I expect that the check in frequency will rise to every three days over the course of the next week. Last week we held a drill for the Cave Junction area firefighters. It was great to see Adham, Roland, and Josh and all of the engines and engine personnel at Lake Selmac. Pretty impressive! Thank you all for your patience and continued readiness. We are able to be a great company because we have great employees. Stand by for commencement of drills at a location near you. Thank you all for your preparation and dedication. We were able to get two crews out this year and already four of our engines have been called. We currently have one hand crew (Mc Cann) and one engine (Rice) our on fires. It is unusual for us to be working this much this early...but we welcome the opportunity to show that luck is when preparation meets opportunity. There appears to be a short cooling trend...soon to be followed by hot summer weather. Keep yourselves in great physical shape. Check your gear...make sure your id is current...your boots are broke in...and you are ready! This could be a long tough season so we need everyone to be at their best. Please contact me once a week right now to check in. If you have not spoken with me in a while, please call now. I hope you are all well and rested...cause the season is coming at us fast and hard. I hope to hear from everyone soon and commence drills across all locations. For only the second time in eight years, we have had a crew called out in June! Charlie McKinley and 19 of our family members left on June 30th for the Fontenelle Fire in Wyoming. Our throught and prayers go out with them so that they may return safely. Please make sure you are checking in with me on at least a weekly basis. I was unable to get a hold of a few people when I called. I need reliable, consistent and dependable people who can support our need to provide relief firefighters and of course to staff the second hand crew and engines. I will be having a meet and greet in Eugene on Thursday July 5th at 10:00 a.m. at 32547 Beymer Rd in Eugene. Only the Eugene area firefighters who have rsvp'd with me should come. You will get a chance to meet the engine bosses from the Eugene area and we can start making some preliminary plans for who will be on the engine. You should be over 21 and have a driver's license and have completed the IS-700 NIMS course. Please rsvp with me at 503-473-4851. Please maintain your readiness! We will need everyone this season...I can feel it. We have only gone out one year before (2008) in June. I expect more resources will be needed shortly. The national fire level is at PL4...which also has rarely occurred in June. Please call me weekly and try to attend our local drills and meet and greet meetings when they are near you. The key is communication...I need and want to hear from you....so please don't be shy. Sorry I haven't updated the blog in a few weeks. I get caught up in all of the fantastic training events that have been going on. Last week in Oakridge we had an all hands field day. Jerry Cargil was our IC and he kept the crews and engines hopping. Charlie did a great job as task force leader. Ross stepped up and was a great crew boss. Of course Kyle did a fantastic job with comms and running a hand crew and Adham and Nathan chipped in with engine support. Bryan is a perfect FOBS. It was awesome to hear the chainsaws running ahead of the crews and the sound of tools and and smell of smoke in the air. The squad boss trainees did a great job considering overhead was throwing orders at them that they should consider refusing! The new firefighters worked well together and a lot of experienced Inbound firefighters came to teach and learn. Thanks to everyone who helped carry out the "snake bite victim" and for Ed's good nature for being asked to get carried out. We had hamburgers and hotdogs and got some rust off. We are edging closer to our call and everyone can feel the tension that is the fire season ahead. In the past two weeks we have had S131 and S133 squad boss training, S212 Sawyer training, two S130/S190 classes and two RT130 classes. Oh, we also had two CPR and first aid classes. I hope that 100% of our employees are CPR and first aid trained and I ask all other wildland fire contractors to do the same! Many administrative tasks still are keeping us from statusing all of our resources as available. Our drivers need to finalize their MSPA paperwork and get drivers application packets submitted before June 25th. I will audit each persons training file and personnel file personally, and I will be in contact if I need any additional information. Every person should have a written wage agreement and a completed employee packet, including safety and health policy orientation. After training wraps up in Cave Junction, I will begin the internal review of all files. Our training association will reveiw all promoting employee training files and new to Inbound employee training files as well as every file every three years. I will need IS700 training certificates for all employees who want to be eligible to go out on the engines. If you are not sure if you have one, please let me know, or plan on re-taking it. I expect that around July 15th we will commence training events in Cave Junction and Oakridge and Portland. If you are relatively local please try to attend. These events will be an opportunity to continue training and building crew cohesiveness. Also, you might learn something. Until then, please check in with me in accordance with the readiness condition posted on the website, currently every two weeks. I expect that we will go to once a week check ins once the weather improves. Thank you to everyone who made the drill happen (Jerry Cargil coordinated food, camping, bathrooms, and all elements of readiness - THANK YOU JERRY). I am proud of all of you and warmly welcome the new employees to the Inbound family. We also need for our drivers to have their paperwork in order. If you are on an engine you need to have a current DOT physical exam. To be a driver for the hand crews, you must have the DOL physical exam. For those of you who live in the Eugene/Springfield area, please follow the directions below. Call Cascade Occupational Health at 541 228 3000. Tell appointment maker that you need a DOL (U.S. Department of Labor) physical exam in order to be a wildland CREW driver with Inbound, LLC. Get the DOT physical in order to be an ENGINE driver. The fingerprint card costs $12, cash or check only; there is an ATM on premises. Inbound will reimburse this expense, so save your receipt. We are in the stretch run now to get prepared. Please be working on your physical fitness and readiness. Remember that we are looking for work for the most consistent, reliable, physically fit, and stable individuals. We want to be ready when the call comes to perform our best. Thank you for being part of the family. I can't believe it is already May. The sun is starting to come out and I am aware of an impending urgency in the air. I am reminded of all the things that have to be done by June 1. We had our second refresher training of the year this past Saturday. I ended up staying for the entire refresher and it was excellent. Thank you Steve Clarke, our instructor! It was good to share war stories and review lessons learned from previous years. It was good to see old friends and really nice to meet some of the new Inbound employees. Our next refresher is on May 26th in Eugene. We will also be hosting S131/S133 Squad Boss training on June 2nd and June 3rd in Oakridge. Then we will conduct an S130/S190 new firefighter training June 4th to June 8th in Oakridge. We will also hold an S212 sawyer class June 6th to June 8th in Oakridge. CPR training will be offered on June 6th as well. Finally, we will bring everyone together at the all hands field day and BBQ in Oakridge on June 8th. As if that were not enough, the training then shifts down to Cave Junction. On June 10th we will offer the RT130 annual refresher and pack test. On June 11th to June 14th we will conduct an S130/S190 new firefighter training. CPR training will be incorporated into the five day course. The southern Oregon all hands field day and BBQ will be on June 14th. If you are a driver, please make sure your physical exam is current or make arrangements to get it current. Have a happy May Day and a productive May. Please be working on your physical and mental fitness and let me know if you need anything. I am looking forward to seeing everyone at the all hands days in the upcoming weeks. The month is already 1/3 of the way over. We are only 12 weeks away from our all hands training event which will be in Oakridge on June 8th. Please plan on attending if you plan on working with the Inbound family this year. At that meeting we will ensure all administrative items are complete so that we can focus on the more important topics like crew cohesion and physical fitness. Our next refresher training and pack test are also coming up soon. April 28th at 0800, we will conduct a pack test at the Owen Memorial Rose Garden in Eugene. At 1100 that day we will have an RT130 at the NW Youth Authority building at 2621 Augusta St in Eugene. Please RSVP with Dillon at 503-473-4851 if you would like to attend. I look forward to seeing returning Inbound family members and welcoming a few new people to the company. We endeavor to provide ten wildland fire engines and two type 2 hand crews this year. We will need reliable, honest, hard working people to join the family and will be conducting new firefighter training in Oakridge June 4 to June 8th. We will combine an S212 course to the mix and culminate the week with an all hands bbq. It is hard to believe it is already almost April. We have a lot to get done before fire season gets here. Of course we have our annual pack test and refresher (next to be held on April 28th in Eugene), but there are also opportunities for advanced firefighter training and supervisor training. In addition, we will have an all hands meeting in June in Oakridge and also one in June in Cave Junction. Hopefully by now you are well into your physical fitness plan to get in great shape for the season. This past weekend we had our first pack test of the year, and everyone who took it passed easily. We also had our first refresher training. Steve Clarke always does an excellent job. We welcomed a few new members to the Inbound family and it was good to see some old friends. One question I asked was, "What kind of company do you want to work for?" I heard that we want to work for a reliable company and an honest company. Those are important traits in a culture. I think overhead would agree and would keep an honest reliable crew over the alternatives. I want to add that you should insist on working for a safe company. I take safety seriously and want you to know that. I hope you do to. Wearing appropriate safety gear when on task is part of it. Wearing your seat belt at all times is part of it. Having a company culture where you can bring up a safety concern to your supervisor without fear of reprisal is part of it. Trusting your leadership and their decisions is part of it. For us to be a safe company we have to maintain a culture of continuous improvement and learning. A good refresher is part of it too. Our frequent all hands meetings are also part of it. Please keep your ideas coming so we can continue to get better. The next training is on April 28th in Eugene. Please rsvp with me at 503-473-4851 so I can have enough food and drinks for everyone at the training. We are already in March and rapidly approaching fire season. As a reminder, the first refresher training and pack tests of the year will be on March 24th. Please RSVP with me at 503-473-4851 if you plan on attending. We can only accomodate 35 persons. The next refresher will be on April 28th in Eugene. I look forward to our family gatherings...like the training coming up in a few short days (March 24th). In June we will have a S131 and S133 for our future squad bosses and an S212 for our sawyers. We will have CPR training that same week and an all hands get together June 8th. There is a lot to be done before the season gets here. Please help me by being prepared when the need comes and through your hard work now to help Inbound to continually get stronger. PS We now have a facebook account. Please "Like" us in order to get updates through facebook. Another way to share information. Preparations for the 2012 wildland fire season continue. Jerry and I will be attending the National Wildland Fire Association conference in Reno. At this meeting, contractors get together in order to share good practices, changes in laws, and to discuss contractor ethics. Contractor "ethics" is an interesting conversation. I have had some employees tell me that they did not have a written wage agreement with previous employers. I have had some employees tell me that they were not paid timely or accurately by other contractors. It goes without saying that contractors who blatantly violate these sorts of principles will make other questionable ethical decisions. Here at Inbound, we cannot be too worried about what other contractors are doing. We do try to follow the employment and labor laws. We put our wage agreements in writing and pay our employees on time, every time! We are not perfect, but we try to follow the law, and spirit of ethics...treat people how you want to be treated. 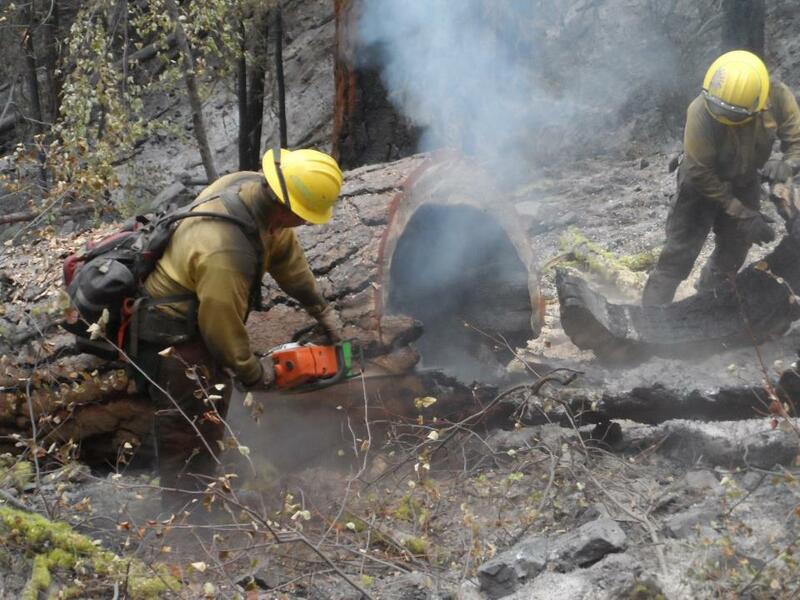 Our performance as a wildland fire contractor can only be as good as our employees! It is your professionalism, good decision making under duress, and hard work that seperates us from our competitors. In other words, the employee ethics and decision making reflect on the reality and perception of our company. If we have employees who have a moral compass, who make good decisions even when no one is looking, and who come to work ready to perform with an honest understanding of what our customers need...we will succeed. Please join me in helping make and keep Inbound great by dedicating yourself to being prepared this fire season. Please look within yourselves and make the committment to yourself, to your comrades, and to Inbound to be the best possible firefighter you can be. I promise to do my part, keep my word, and to support you in your endeavors to be successful. We are making a run at providing 5 Type 4 Wildland fire engines, 5 Type 6 Wildland fire engines, and 2 Type 2 Wildland Fire hand crews this year. We are looking for sawyers, squad bosses, and engine bosses to support us. If you know someone who might fit in with our family please contact me at 503-473-4851. I also recently set up a Facebook page. I am late to the party...but made it nonetheless. Facebook provides one more way to communicate quickly with our employees about upcoming events. If you have an account, please invite me to be a friend...and "like" us so that you can get status updates quickly. Thank you for the privilege that comes from being affiliated with wildland firefighting. I am proud of our company, our family, and what we do! My favorite part is the comradarie and honest hard work. I am really looking forward to putting in some hard work this year with the Inbound family! The 2012 fire season preparedness is in full swing. We will have our first refresher training of the year on March 24th in Eugene. This training is only seven weeks away! For those of you with experience, it is my hope that you will undertake a pre-season fitness regime and come to one of the early refresher trainings. Please RSVP directly with me at 503-473-4851. We will have additional refresher trainings in April, May, and June. Also, we will have only two S130/S190 new firefighter trainings this year, both in June. I would like to see all Inbound supervisors attend an early training event to secure their positions and help us to coordinate our planning and assignments for the upcoming season. As usual, CPR and first aid classes will be offered in June as well. I am looking forward to seeing all of you, hopefully in great shape and ready to execute our assignments. For those of you who are new firefighters, please RSVP directly with me via email or cell phone. I have updated the employment documents on the website, and I will collect updated information from everyone during the training events. Thanks and I appreciate all of your hard work getting ready for another fire season. We are a reflection of your dedication and we can only be as good as our employees make us. The work of a wildland firefighter is arduous, but we can excel if we put the work in now to be ready when the fires come. When we arrive at the fire in great shape, with good equipment and a good attitude, the incident management team is extremely happy. That is really the best way for us to seperate ourselves from other contractors in a positive way. I want to wish everyone a happy and safe holiday season. We have been busy with administrative issues like deciding when to conduct our pre-season training events. We have posted a preliminary calendar of training events, beginning with the first refresher training on March 24 in Eugene. If you are a supervisor, please plan on attending the first training and pack test events. As usual, we will be taking time to consider areas where we can perform better, and everyone's input and buy in is critical to get it right! Please RSVP with me at 503-473-4851. Yesterday I attended the NWSA Region 6 Crew Chapter meeting in Salem. Travis Medema and Nancy Hirsch from the Oregon Department of Forestry were there to discuss the new IFCA which they will be administering beginning with the solicitation in September 2012. More administrative items continue to dominate the agenda for now. In the pre-season everyone needs to make sure their CPR is current, or plan on attending a class to get it current. We don't have the CPR classes scheduled yet, but typically around May or June we will. We will have several all hands training events which will coincide with the last day of new fire fighter trainings. These events are a great place for those new to Inbound to get to know the rest of the Inbound family, so I highly encourage attendance by all personnel geographically available. As ususal I will provide food and nourishment and personal protective equipment. We also need to make sure we have current employment documents on every employee, a written wage agreement, driver applications (as necessary), a 2012 I9, and other administrative type items completed before any employment can occur. Please help me in this regard by showing up early and often and looking at your file. We will have at least two employee orientations and that is another opportunity to make sure we have everything we need on file. For those of you who were part of the Inbound family last year (2011 fire season), I will be sending out W2 tax forms to your address of record. If you would like to update your information, please call me or email me the correction and I will mail out your W2 accordingly. Returned W2 forms will be kept at the office in Oakridge for three years. It is too early to tell what 2012 will look like, but the work is already beginning. Jerry and I look forward to seeing you all soon and hearing from you to RSVP for training events. We wish you a safe and happy holiday season with your loved ones. I just returned from a trip to Washington DC. I have to tell you that the trip left me inspired and motivated. I took some time to visit the Smithsonian Museum of Natural History. While there I saw the Hope Diamond and amazing displays on dinosaurs, gems, and planetary evolution. I was deeply moved while at the Vietnam memorial and Arlington National Cemetery. The sheer magnitude of our loss is captured at these hallowed places. I visited the Lincoln Memorial and the Jefferson Memorial as well. These particular memorials seemed to reach out to me. I know I can do more to help shape our great nation for generations to come if I only follow the example set by our forefathers, and in particular these two great men! I was also able to meet with the USDA Forest Service, the NRCS, the SBA, and several other agencies. My most hopeful meetings were with the staffs of Senator Wyden and Congressman Defazio. I am already following up with many of my new contacts and hopeful that these efforts will lead to more work for our industry. I was able to brag about what type of company Inbound is because of you, our great employees! I am confident thinking big because I know you all can back me up with performance. That position of strength allows me to work for our future with more passion and enthusiasm! Thank you for making our company great! We had some rain in Portland today and more rain is expected. It is natural during these times to relax your readiness. However, as a company, we try to keep as many resources ready as possible so that in the event that we are needed, we can support the needs of the government. A few years ago we were called to California in late October and worked into November. If you would like to be part of our continuing effort to maintain readiness, then please continue to check in with me regularly. We will likely go to readiness condition green tomorrow which requires check in every two weeks. Once things return to a slightly less hectic pace we will invite all company employees to a year end get together. We can celebrate our successes and identify areas where we can improve next year. We should all endeavor to maintain our physical fitness in the meantime. We will publish the training schedule for next year by March 2012. I encourage all returning employees to take an early season refresher training and pack test in order to get a red card authorized as early as possible in case of a preseason need for resources. It is an honor to do what we do! I am proud of all of our employees and thank you for your dedication and service. Well done! I want to remind everyone that the work of a wildland firefighter is arduous. We have had several strains and sprains while working on our assignments this year. The work environment is very difficult with high temperatures, steep slopes, slippery footing, and of course difficult work assignments. It is imperative that you have proper fitting PPE, including boots. It is also imperative that you maintain proper hydration and receive adequate nutrition. Being in top physical shape and doing warm up regime (like stretching) will help ensure that your can complete your assignment without injury. We were recently reminded how tough the assignments are. We were working on 60 to 80% grade in the Mt. Hood wilderness. We were not receving enough food or water to replenish our bodies in a demanding work environment. People began to get physically and mentally fatigued...and we had several injuries! Please join me in helping to make sure we limit these type of injuries in the future by showing up for the dispatch with a double lunch for yourself. Please make sure your boots and PPE fit properly. Please take steps (like firefit) to ensure you are in shape to complete the demanding assignments that we all know are coming. I am working with the government to ensure that they provide proper nutrition and care for us while on assignment. The work is demanding...but rewarding...especially when we can complete it without injury. The fire season is not over yet. We are proud of the work we perform...proud to be wildland firefighters...and ready for any assignment! Please continue to check in with me regularly until the company readiness condition is lowered. Late last night our hand crew received a dispatch to the Mt. Hood National Forest. 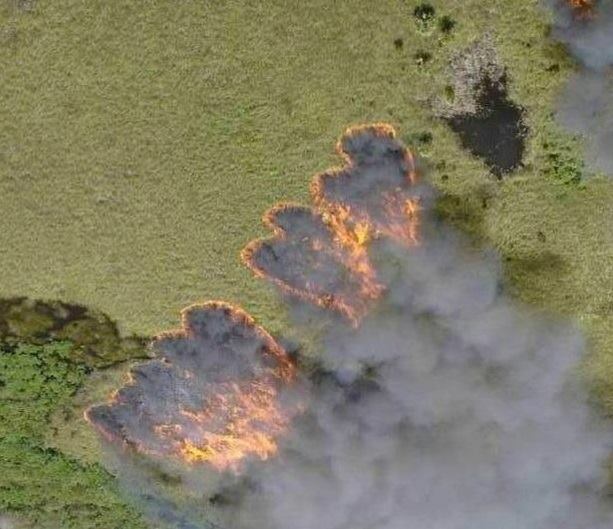 They will be working on the Gumjuwac fire. Looking at the extended forecast, fire season will likely continue through September and perhaps even into October. Please contact me at 503-473-4851 if you are interested in working. Most likely, we will need everyone who wants to work before the fire season is over. Our readiness condition requests that employees check in at least twice a week. It is imperative that you communicate your availablilty with me regularly. Thank you to all of those out on the fire line today. We are praying for your safety and we are proud of your work to make Inbound one of the best in the business! Fire season 2011 continues. Our hand crew worked hot line in Sisters and had a few days on the Dead Dog fire. Eight of our engines continue to work on the High Cascades Complex of fires in Warm Springs. Please keep yourself mentally and physically prepared as the season is just starting. The season started late, but may also go late. We will need everyone. If you have not spoken to me recently and are interested in fighting fires this year please call me at 503-473-4851. We are expecting there to be more opportunities before the season ends. Please join me in congratulating those who are representing us on the fire line. 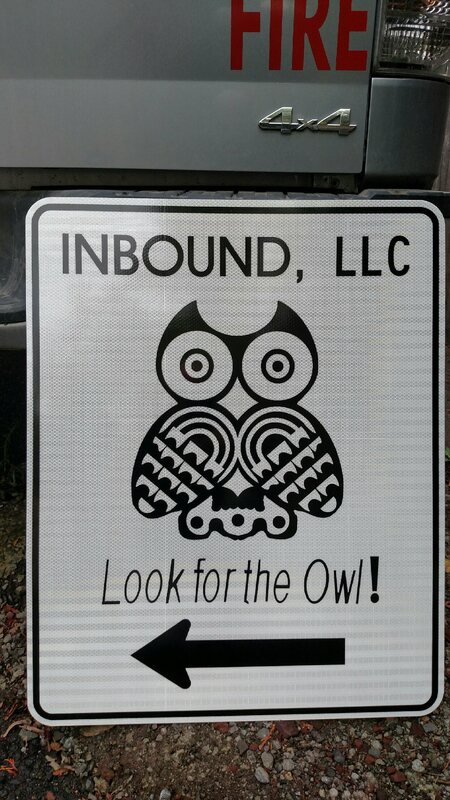 Thank you to all of you who proudly wear the Inbound OWL. I am very proud of the work you are doing. Fire season 2011 has finally arrived. We currently have one hand crew in Sisters and four engines working. If you have not heard from me recently, please contact me. We will need everyone available before the season is over! There is a weather event expected tomorrow across weather zones W3, W4, C2, and C3. If you haven't checked in with me in the past few day, I would like to hear from you. There is a high probability of a large fire starting tomorrow! Please check in with me in accordance with the company readiness level, currently YELLOW. During this time I ask that you check in with me twice weekly. We are finally seeing signs of fire season 2011. Thank you all for maintaining your physical and mental readiness. Last night we had our first engine dispatch, in Medford. The forecast shows that fuels are finally curing and lightning is expected. Please check in with me over the weekend. I am increasing our readiness condition to yellow, during which time I ask that you check in with me approx twice per week. Please continue to maintain communication with me at 503-473-4851. Thank you again for all of the pre-season work in preparing for the upcoming fire season. It looks like they may be calling us in the upcoming weeks. I am looking forward to seeing the folks from the Cave Junction area at 2 p.m. on Tuesday August 23rd at the Lake Selmac boat ramp. Augustis is half way over and we still have not had fire season arrive in Oregon. Many of us have never seen a fire season like this. We still have not had a 100 degree day in Medford or a 90 degree day in Portland. The last and only time Portland did not hit 90 degrees was 1954! Looking ahead at the forecast, it does look like it will heat up toward the end of the month. August 22 and 23rd look to be in the 90s in Portland. The weather is out of our control, but our readiness is in our control! Please join me in maintaining our readiness to respond by checking in with me regularly (503-473-4851) and staying in great physical shape. We have had several organized events in Oakridge and in the Cave Junction area and will continue to have events until the fire season arrives or ends (whichever comes first). Thank you for your patience with the weather. Please contact me this week so that I can note your availability and continued readiness for an immediate dispatch. We will be having more opportunities to get together in the coming week. On Sunday, August 7th at 11:00 a.m. in Oakridge we will have a meet and greet with the local single resource bosses. All employees in the area are invitied to attend. On Monday, August 8th at 2:00 p.m. at the boat ramp at Lake Selmac we will have a training event where we cover tactics. All employees in the area are invited to attend. I hope to continue to see all of you at these events. If you can't make it, please let me know. We will be putting our best most prepared employees to work when the fire call comes. This past week we held events in Selma and Oakridge. For those of you who made it to the events, I thank you. I hope it was well worth your time. Also, thanks go out to Rick, Roland, Jack, Dan, Chris, Jerry, and Mike for eveything that they did in helping with the training and event planning. The season is late...and that must motivate us to be more ready than ever when the call comes. When we do get to our assignments, you can bet we will be physically and mentally tested by overhead to measure our value to the government. We are only as good as our employees...and then only as good as our weakest employee. We must continue to strengthen ourselves and ensure that we reward our best, hardest working, and most physically and mentally prepared employees the opportunity to represent us. The training events allow for us to continue to measure who the best prepared wildland firefighters are. Of course, they are also great opportunities to learn from our most experienced employees. I learned quite a bit at the training event in Selma as each of our engine bosses shared specific best practices that they have each picked up over the years. Fantastic! If you missed the training event, we will have others. I will post here on the blog and update the training calendar and other pages on our webiste. If you are checking in by phone, I will also share any company news including upcoming training events. Communication is key. I am asking everyone who is red carded with us to check in by phone (503-473-4851) weekly. If you are not checking in with me, you probably are missing out on key company information and you are missing opportunities to demonstrate your readiness. Please check in weekly for now! Thank you all for your patience. We are ready to respond "immediate need" thanks to each of you. I look forward to hearing from all of you in the upcoming week. For those of you in the Eugene area who missed the event in Oakridge, you missed some great (and free) live music! The season here in the Pacific NW is off to a slow start. However, that gives us time to plan addition opportunities to get to know one another before the season starts. So, we will be having equipment and company orientations in the coming week. On July 21st in Selma (at the Selma store) at 1400 hours we will have at least three Inbound engines. We would love to have as many of our Cave Junction, Grants Pass, Medford, Gold Hill, Central Point Butte Falls, and William (and others nearby :) ) show up. We will go over the equipment inventory and definitions unique to wildland fire engines. The fire season is running late, but when it comes we must be prepared. Please join me at one of these events and continue to check in with me regularly. Here we are in the middle of July and summer is finally creeping up on us. When the fires finally come, they always seem to come fast and furious. We must maintain our readiness and fight complacency! -Maintain your fitness and workout regime. We will be working long hours in extreme conditions and we must prepare our bodies. Being in good physical shape is a huge selection criteria, and those in the best physical and emotional shape will see work first. -Have your gear ready and make arrangements to have your personnel affairs in order. When the dispatch order comes, we won't have any allowance of time for personal issues. We have two hours to respond to the dispatch and be enroute to the incident. Please make and keep yourself ready. Carry your gear with you. Please let the office know if you will not be available for any reason. -Paperwork and administration should also be complete. I have a list of paperwork that I need for each Inbound employee to have ready for fire season, and some of you need to fill in missing documents. We need current identification and applications on all employees. Also, all personnel who wish to be considered for engine duty must complete the IS700 FEMA course. Please contact me to determine if you have open administrative issues. I want to personnaly thank you all for your efforts to maintain personal readiness! I would like to hear from every employee weekly for now, and as conditions warrant, even more frequently. Please contact me if you have not spoken with me in over one week. Because of all of you we continue to be a great company! Thank you! This past weekend we finished training 23 new firefighters and then we welcomed back about 25 Inbound employees and conducted a drill/field day in Cave Junction. Watching the new members interact with our experienced members and the excitment on the faces of all of our new family members left everyone renewed and invigorated. The newness and excitement was palpable and a great reminder why we love wildland firefighting. I observed the bonding and am proud of the team and product that we are building. ON Saturday, June 25th, we will have another CPR class and payroll and company safety and health policy day in Oakridge. These classes are required in order to be ready for the upcoming fire season. Please call me at 503-473-4851 to rsvp or with any questions. Now is the time to ramp up your training regime. 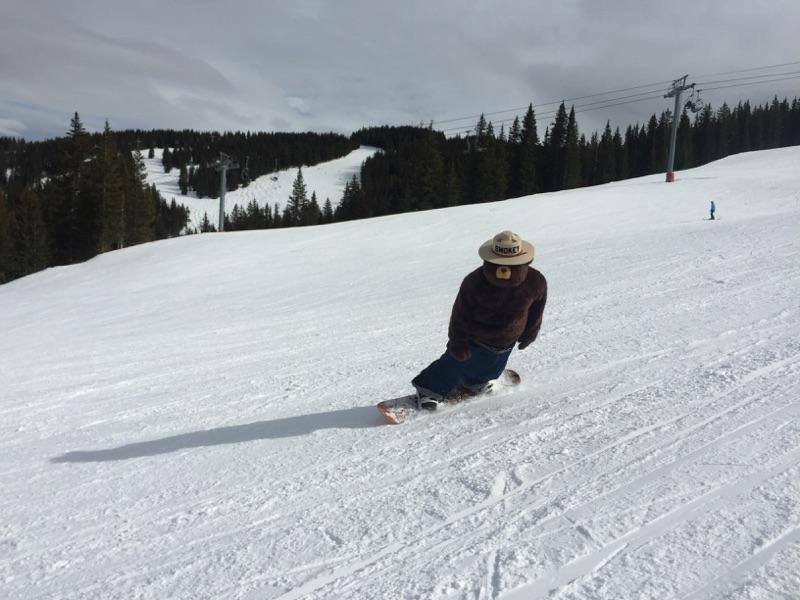 We need our legs underneath us from the first moment we hit the hill. Please join me in cutting back on smoking and other indiscretions (like a bowl of ice cream) while increasing our physical activity. We are looking for the hardest workers who are the most prepared for the upcoming season. Physical fitness is an important selection criteria! Please remember to check in with me accoriding to our level of readiness. We are currently at readiness condition BLUE, which requires employees to check in weekly. I anticipate that the condition of readiness will be raised as the fire season gets closer, requiring even more frequent check in. The key is on-going communication. Please make sure you are ready when the call comes. We are currently auditing all files and making short punch lists of items needed to complete your fire and personnel files. Please help me to knock out thesee items so we are administratively ready to perform. I daresay we are nearly ready. Please help me to finish off the final items so we can unequivically say, "WE ARE READY!" Fire season 2011 will be here before we know it. There are a lot of little things that we need to accomplish. We must have every employee verified for employment and red carded by June 18th in order to be ready. What can you do to help? You can take the IS 700(a) FEMA Course. Please send the completed certificate to me or bring it to the next company event. You can also help me by making sure your training and employment file is complete and accurate. Our all hands meeting in Cave Junction on June 17th and in Oakridge on June 18th is a good time to make sure you are administratively ready for the season. It is also a good time to make sure your personal gear is ready. Your red bag should be packed and with you at all times as we enter the season. Make sure your boots are broke in and your personal life is in order so that you are able to respond when the call comes. Lastly, please incorporate physical fitness into your daily routine. As you know, we endeavor to provide the best hand crews and engine modules in the region. We can only do this by having a better, more prepared, and physically fit crew than others. As we assign our employees to the hand crews and engines we will be looking at your physical and mental readiness. Those who are best prepared will get the first assignments! I also would like to welcome the first class of new firefighters to Inbound. I am proud of you all and appreciate the hard work you all demonstrated at the company drill on May 27th. Thank you for your committment and welcome to the family! We will be having one more new firefighter class in Cave Junction in June. Please feel free to contact me for any reason at 503-473-4851. We have more trainings to offer this year. We have something for everyone. This coming Monday, May 23rd, we will have S131 Squad Boss training in Oakridge. On Tuesday, May 24th, we will have S133 Squad Boss training, also in Oakridge. On Wednesday, May 25th, we will have CPR and begin our S212 Sawyer training. Finally, on Friday, May 27th we will have an all hands drill in Oakridge. If you have not heard from me and you would like to attend a training session, please contact me at 503-473-4851. But wait....there is more. Also beginning May 23rd in Oakridge, we will be kicking off our first S130/S190 class. The class will have about 30 new firefighters. These new firefighters will be in class for five days, the last day being a field day incorporating the company wide drill. We will be selecting candidates who exhibit excellent mental and physical capacity to perform the duties as a wildland firefighter. We desire to put an extremely professional crew on the hill....in shape to outwork the crew next to us...and equipped to exceed government expectations. If you are a returning firefighter or a new firefighter, please undertake a pre-season workout regime. The fire-fit program is a good one, but there are others. I am proud of you all and proud to say, "Look for the owl!" this coming fire season! This weekend we had another refresher training in Eugene. It is always great to see our returning firefighters and to welcome new experienced firefighters to Inbound. I am proud of the professionalism and culture that we continue to exhibit as we establish ourselves. We still have a few open positions for experienced wildland fire fighters. We are offering S131 and S133 for experienced FFT-2 and an S-212 saw class in conjunction with an S130/S190 new fire fighter class from May 23 to May 27th in Oakridge. CPR and First Aid and a pack test will be held on May 25th. Please RSVP with me at 503-473-4851 for any of the courses. In June (13th to 17th) we will be offering the same courses down in Cave Junction for those employees who will work out of the Medford region. The all hands drills will be on May 27th in Oakridge and June 17th in Cave Junction. If you hope to work for Inbound this year it is important that you attend and participate in the all hands drill! Please RSVP with me for the drills! We have a lot to do before the fire season arrives. We need to get everyone through CPR and First Aid, qualify our drivers under the MSPA regulations, get everyone trainined and oriented, get IS-700 for all engine personnel, and get all of the manifests and records submitted for our personnel. You can help by contacting me to ensure that all the items you need are complete. By June 1st I challenge each of you to finish your administrative requirements and focus on your mental and physical fitness for the upcoming year. Please attend as many company functions as possible to maximize your exposure time with our key decision makers. This past weekend the Inbound Equipment Working Team met to discuss the 2011 water handling agreement, company culture, and assignments for the 2011 fire season. The meeting was well attended and we have engine bosses assigned for all ten of our engines. E-01 (Rick Lucrezi), E-02 (Larry Akerly). E-03 (Bill Brady), E-04 (Adham Rowley), E-05 (Marie Hoover), E-06 (Roland Cababag), E-07 (Jack Crittenden), E-08 (Jerry Crafton), E-09 (Steve Miller), and E-10 (David Figueroa). The engine bosses will be commissioning their engines and will be prepared for inspection by May 27th, the next big all hands training event. As a reminder, the next RT130 will be in Eugene on May 7th. Please RSVP with me at 503-473-4851. The first S130/S190 will be beginning on May 23 through May 27th in Oakridge. We will also be having S131/S133 Squad Boss Training on May 23 and May 24th as well as S212 beginning May 25th. This big week of training will culminate with the all hands event on May 27th in Oakridge. We will have hamburgers and hot dogs and preform inspections on all equipment in addition to making sure all of our paperwork is in order for the season. Beginning June 13 we will have a similar event in Cave Junction. We will begin the S130/S190 on June 13th through June 17th. We will have the S131/S133 Squad Boss traning on June 13th and June 14th, followed by the S212 beginning June 15th. This big week of training will also culminate with an all hands event on June 17th. There is still a lot to do in the next eight weeks. All of our drivers need to ensure that their paperwork and MSPA applications are complete and submitted. We will complete our training and assessment of personnel and make preliminary assignments to engines and crews. If you have any questions about preparedness, training opportunities, or ways you can help Inbound to be ready for the upcoming season, please contact me via email or cell phone. Thank you everyone for the time and energy you spend helping to keep yourself ready and helping to make Inbound successful. Welcome back. It was great seeing many of you at the refresher training in March. I look forward to seeing many more of you at the upcoming trainings and events this year. The next refresher training and pack test is on April 2nd in Eugene. We will also be conducting a refresher training and pack test on April 9th in Cave Junction. If you have not heard from us, please contact me at 503-473-4851 or call Bryan at 541-359-5750. Please contact the office to update your contact information and to get plugged in on the upcoming company trainings. Our training calendar is being updated and you can see the latest events on the Inbound calendar through the website. We will have employee safety and health orientation, CPR training opportunities, and company wide drills again this year. If you have any questions, please contact me directly. We are collecting nominees for an S130/S190 to be held in late May or early June. We are also looking for good, hard working, experienced firefighter type 2 to join our family. Inbound continues to enjoy a fantastic reputation built on hard work, professionalism, and our great employees! I thank each one of you for your continued dedication to preparedness and improvement. Last night I watched as live video showed the tragic tsunami hitting the coast of Japan. My prayers and heart go out to those who are suffering. I am reminded that it is in times like these that companies like Inbound get called in to help. I know I am challenged and will look for ways that we can support those suffering during this tragedy. I am also reminded that it is because of each of you, and your ability to respond quickly and reliably, fully equipped and ready to plug into the incident command structure that we exist. Our challenge is to maintain that readiness while never knowing exactly when the call will come. There is no doubt that the call will come. Fire season 2011 is right around the corner. Unfortunately, tragic events will occur and when it does, we must be ready to respond. We are those who are committed to the call! Tomorrow is our first pack test and refresher of 2011. Let's get our training goals accomplished, our bags packed, and our boots shined, and be ready when the call comes. Please connect with Bryan at 541-359-5750 (during reasonable business hours please) and RSVP for our next refresher and pack test on April 2nd. I will see many of you tomorrow, and hopefully the rest of you soon. We will have numerous trainings, including CPR and safety and health training (in June) as well as an all hands drill hopefully with our friends from Paragon Water Tenders also in June. As always, I thank you for your committment and dedication to the call! We hope to get most, if not all, of our supervision through this first training to meet the requirements of the Oregon Department of Forestry and the USDA Forest Service. We will have additional trainings for our experienced FFT2s in April, May, and June. Please reach out to Bryan Sumpter, Jerry Cargil, Larry Akerly or myself to let us know your status for the upcoming season. I look forward to seeing you all soon at one of the various trainings or company gatherings. We are now preparing for the 2011 fire season. It is time for all of you to contact us to ensure you are trained and ready in time for the upcoming fire season. We have published our training schedule and are looking forward to seeing all of our supervision at the March 12th refresher training in Eugene. Please contact Bryan Sumpter at bsumpter@inboundllc.com or at 541-359-5750 to reserve your spot at an upcoming training. You may also contact me, Dillon at inbound@inboundllc.com or at 503-473-4851. Otherwise you will see me at the pack tests, trainings, potlucks, picnics, drills, orientations, and dispatches as we all get ready for the 2011 fire season. Thanks to you all, we enjoy a great reputation in the industry. We are hard working and we are professional and competent. Please join me in preparing for this upcoming season by focusing on your physical fitness. At long last we have developed our 2011 training calendar. The first refresher training and pack test will be on March 12, 2011. We will have five total refrehser trainings and three new firefighter trainings. In addition, we are still looking at having S131 and S133 for our upcoming FFT1/ICT5 trainees and maybe a S215 Urban Interface if we have enough interest. We will really be focusing on our pre-season fitness this year. Please undertake training and show up ready to perform on the pack test. I recommend alternating weight training and cardiovascular training leading up to the pack test and continuing on as we approach the fire season. The calendar has been updated and will contine to be. If you have any questions or would like to RSVP please contact me at 503-892-3663. I hope you all have a wonderful, safe and happy holiday season and I look forward to seeing you all in the spring. Thanks for continuing to make Inbound a leading provider of fire suppression services in the Pacific Northwest. It is only through your efforts that we will grow and prosper! Fire season 2010 is about over. This fire season was well below the ten year average for both numbers of fires that started and amount of acres burned. Our hand crew only had three days of work (on the Boise Complex), while our engines had 86 days of work. We will be having a year end get together in October or November. In addition we will be gearing up for the 2011 fire season, starting in February or March. While it is difficult to remain engaged when there is not much work, I implore you to take steps to be ready for the upcoming season. There are many things that you can do to keep yourselves mentally and physically ready to fight fires. Please remember to undertake an off season training regime as we will be looking for only the most physically and mentally fit employees to be on our team. The fire fit program has a well defined fitness schedule which is easy to follow and proven to work. For those of you who prefer a less structured program, you should take steps to ensure your preparedness. Please stay in touch with us during the off season. Let us know if you change your address or phone number so that we are able to communicate upcoming training opportunities. Check our website often for updates regarding upcoming trainings. Lastly, I want to thank each of you for your continued committment to Inbound. I am proud of our company and the direction we are heading. Let us continue to strive to improve our capabilities. We are only as good as our people, and we have great people. Our people will continue to differentiate us from our competition. Thank you for being a member of the Inbound family and I look forward to seeing you all at the year end potluck. Fire season is upon us. Every day in the news we hear updates on fire season 2010. This is our time to shine! We are blessed to have a lot of talent at Inbound. I would put our personnel up against any crew and I know we would excel. I am excited to have such a wealth of talent and proud to be part of it. Still, we need to maintain our professionalism and readiness. We must outperform the crew next to us on the hill if we are going to continue to improve our reputation. The only way to be better out there is to out work everyone else. I think we have the talent and chemistry to do just that. Then, there are those assignments, like staging, during which it is difficult to outwork the crew next to us. During these times, we must be more professional than those around us. By using our time wisely, training, reading our IRPGs, sharpening our tools, keeping our shoes greased and shirts tucked in, being calm quiet and respectful, and being conscious of our image, we can seperate ourselves from those around us. Thank you all again for being part of our family. Please check in often with me at 503-473-4851 (every other day right now) and let me know if any of you will not be available for any reason. I am proud to send us to any fire in the United States knowing we are ready to perform and perform well! I look forward to seeing you all on Saturday unless we are dispatched to a fire first. Hopefully we will have your red card ready to hand out when we see you. I have been trying to call everyone and have been getting a lot of messages and a few phone numbers that are no longer in service. Please keep me informed if you will be unavailable for any reason as long as we are at a Yellow threat Condistion or worse. To all Inbound friends and family. Please have a safe and happy 4th of July. If you choose to enjoy the holiday with the beverage of your choice, please do not drive afterward! It is just not worth the high price that may come of it. I have lost several friends, some in the accident, and some in jail because they were the cause of the accident. Please don't be that person! Looking ahead at the 5 day forecast, I see a warming trend coming. When we have red flag warnings, several 90 degree days in a row, and unstable weather, we have the recipe for large fires. During conditions like these we are more likely to be called in to support. We must remain vigilant and ready to respond should the government need us. I will continue to update the Inbound Threat Condition Matrix as conditions change. Please check in with the office at 541-782-1814 in accordance with the frequencies required by each threat condition. If things get really dicey, we will go to Threat Condition Red, which will include staging of resources, dispatch being imminent. Thank you all for being part of the Inbound family and acting responsibly by not drinking and driving. I hope to see you all soon. On July 17th we will have a company gathering in Oakridge (family friendly). During this meeting we will pass out red cards and continue to ensure our readiness is at the elevated response level. On June 18th Inbound held a field exercise. Over 65 personnel were issued nomex and particiated in the drill. There were four wildland fire engines, one tender, and two twenty five person hand crews. I want to thank everyone who participated. In my opinion, the event was outstanding. All of you made me proud to wear the owl! I am confident that we are ready to respond when called upon. I call on each of you to maintain that readiness, even if it is raining. It is a good time to continue that exercise regime so that you maintain your fire fitness. Please feel free to call me at 503-473-4851 to check in. Thanks again to all of you. I am proud that the Inbound family is growing and those of us at Inbound welcome all the newly trained employees. We will be providing transportation from Eugene to Oakridge for all trainings that are in Oakridge. If you need a ride, please contact Larry Akerly at 541-686-6134 or 541-514-7139 in advance of the event to RSVP a spot. Larry will have a van leaving 4 corners in Eugene approxiamately one hour prior to the training starting in Oakridge. On June 5, 2010 Inbound will be holding administrative training on company standards and procedures. We will also be conducting driving training, ensuring personnel files are accurate and comprehensive, and reviewing federal and state regulatory requirements. All personnel must have this training in order to be employed! Please RSVP with Dillon at 503-473-4851. Supervisor training will commence at 0900 to 1200 and the rest of the employee training will commence at 1300 to 1600. On June 18, 2010 Inbound will be holding a drill for all firefighters. We will conduct a mock operation with two hand crews and multiple engines in a task force configuration. Please RSVP with Dillon for training beginning at 1100 and ending about 1700. A company potluck will follow. 2. Contracting related issues, especially regarding contracting with the Forest Service, BLM, or the Oregon Department of Forestry, and even more specifically related to wildland fire fighting and related activities. 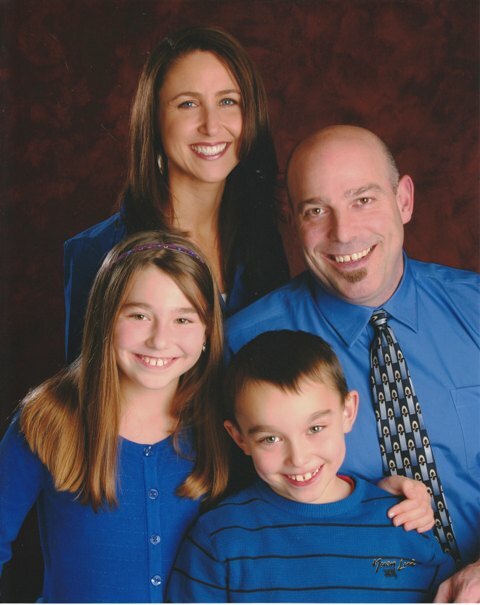 This blog is overseen by Dillon Sanders, a service disabled veteran. Posts considered inappropriate will be removed.